It’s odd now, in light of all we know about the health impact of smoking, to think about a positive connection between sports and cigarettes. But that wasn’t always the case, especially for women. Both smoking and being physically active were hallmarks of the independent woman. Yes, smoking’s allure was partly about weight loss but it was also about women’s new found autonomy, careers, and education. 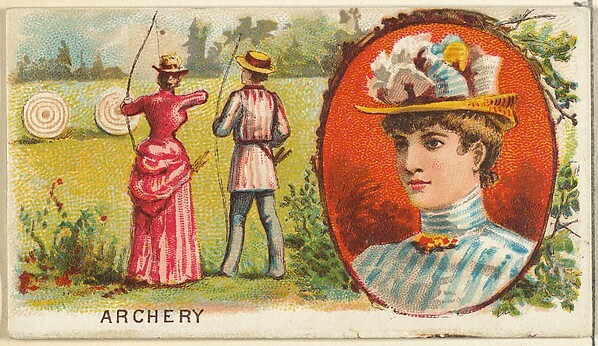 Tobacco companies sought to tie their product to women’s independence and often featured women in sports. 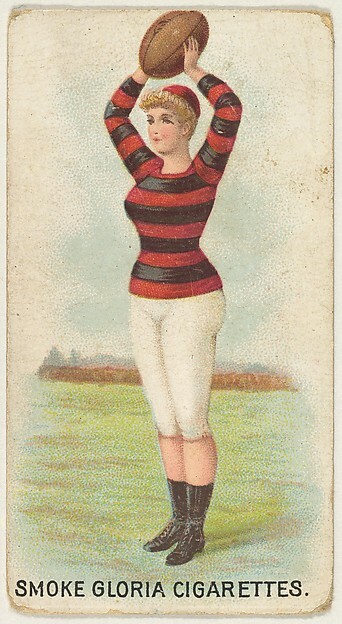 again, from the Metropolitan Museum of Art’s newly released collection here are some images of sporty women on cigarette trading cards. And here’s a feminist case for quitting smoking in case you haven’t yet been convinced. I smoked for 10 years of my life, from 14 to 24, and quitting, for me, coincided with other efforts at getting stronger, fitter, faster. I was amused the other day to see photos of Tour de France riders from many years past sharing cigarettes on their way up the mountains. So hard to believe that they didn’t know it hurt their efforts and that they really believed that smoking opened up the lungs. Media tends to dramatize desired behavior is the right behavior…. not really true.